One extremely cold winter morning in 1999 in are, Sweden, Skhoop founder sissi kewenter was about to take her dog for a walk. Putting on traditional snow pants seemed like a nuisance at the time, but the further away from her house they walked, the colder she got. As she began to freeze, sissi started creatively developing the first insulated cover skirt as she raced back home. The original skirt was born. 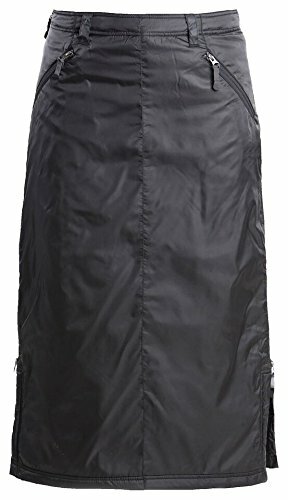 This skirt is a lighter thinsulate insulation suitable for active or climates above freezing temps. If your climate is colder we recommend the Alaska Down Skirt or the Mina Mid Down Skirt. If you have any questions about this product by Skhoop, contact us by completing and submitting the form below. If you are looking for a specif part number, please include it with your message.